12 August 2010 Award-winning theatre company The PlayGround Collective has been working with individuals and organisations in the disability sector to help ensure the authenticity of Katydid, a new play opening at BATS Theatre in Wellington on Wednesday 18 August. Sophie Hambleton plays the role of 19-year-old Kate. She is witty, smart, mistreated and manipulative. She also has cerebral palsy. And like other young women her age, she clashes with her parents and longs to leave home. As an actor, Sophie says, she always tries to do as much research as possible to create the characters and their physicality. This role, however, is the biggest challenge so far of her acting career. As part of her research, Sophie consulted students who attend Kimi Ora School in Thorndon, a school that caters for students with physical disabilities, including cerebral palsy. "All the people I met were incredibly generous," she says. Playmarket Director Murray Lynch can’t recall another New Zealand play that examines disability, and where the lead character is disabled. “I applaud these talented young practitioners and their commitment to bringing this story to the stage,” he says. Playwright Lucy O’Brien wrote Katydid while she was studying for her MA in Scriptwriting at the International institute of Modern Letters at Victoria University. The script won her the Embassy Trust Prize and this production at BATS Theatre will be the premiere. Lucy was motivated to write the play because of her own experience growing up with a sister with physical and intellectual disabilities. “I grew up reading a lot of stories and watching films about disability. I got frustrated with the movie-of-the-week portrayals and wanted to create a fully fledged character who isn’t defined by her disability. Other actors in the play are Rachel More as Kate’s alcoholic mother, Lindsay; Robert Tripe as her cancer-ridden and overprotective father, Daniel; and Ralph McCubbin-Howell as her hapless love interest, Ben. Director Charlotte Bradley says that although the play is challenging it is also very entertaining. “One of our hopes is that people will end up laughing with Kate. I’m really excited about who our audiences will be. BATS Theatre is very supportive of what we’re doing and keen to make the venue and car parking as accessible as possible. The collective approached Arts Access Aotearoa for advice on how to engage with disabled communities so they knew about the play and that they would be welcomed to the theatre. 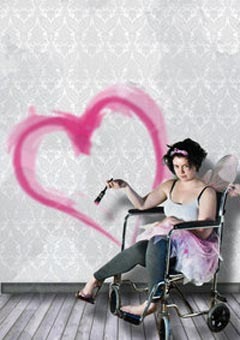 They also found Arts for All: opening doors to disabled audiences, published in 2009 by Creative New Zealand in partnership with Arts Access Aotearoa, full of useful tips and ideas. As well as consulting the Cerebral Palsy Society of New Zealand, students at Kimi Ora School, CCS Disability Action and the accessibility advisor at Wellington City Council, the collective talked to Christchurch performance artist Sandra-Leigh Montford, who has cerebral palsy. “This is a rare and valuable opportunity to see a theatrical representation of a girl living with cerebral palsy," the Cerebral Palsy Society of New Zealand says. The PlayGround Collective recently developed and toured its show The Intricate Art of Actually Caring (Most Original Production, Chapman Tripp Theatre Awards 2009). Original generation time 1.6971 seconds. Cache Loaded in: 0.0004 seconds.